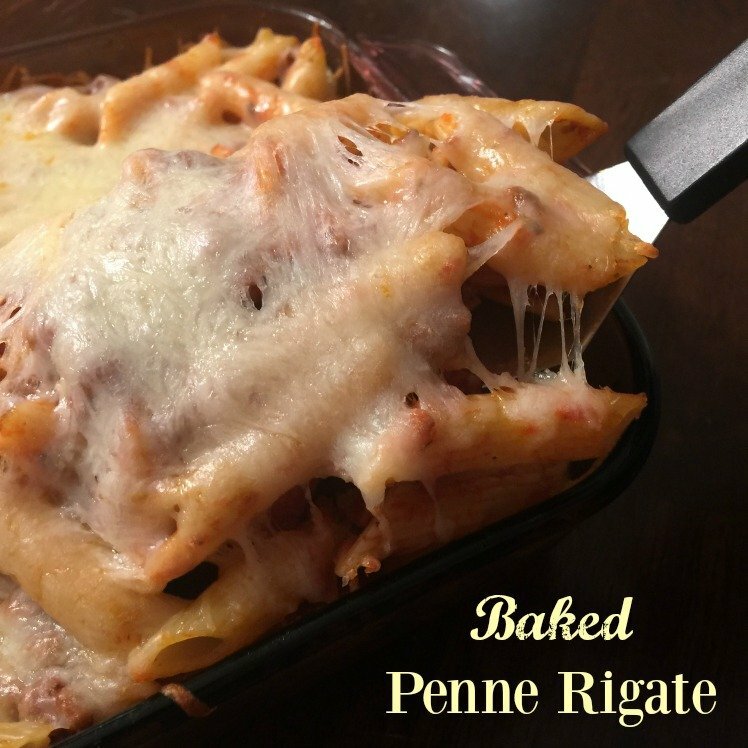 This Baked Penne Rigate Recipe is quick and easy to make, perfect for busy weeknight dinners! Baked Penne Rigate is a recipe I make using my leftover “Sunday Sauce” when I make spaghetti. 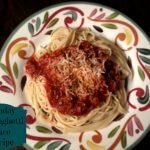 If the sauce is frozen, I unthaw it either all day in the refrigerator, or if it’s last minute, in the microwave while the pasta is boiling.If you don’t have any made (or time to make it), a jar of whatever Ragu style sauce you enjoy would work just fine too! Just heat up your sauce while you boil the pasta, and then pour it all into a baking dish. Cover the pan with foil, and bake at 350 for 30 minutes. Remove from the oven and add some shredded Mozzarella Cheese to the top. Place it back in the oven for about 5 minutes, just so the cheese can melt. Meanwhile, Slice a loaf of Italian Bread in half and top it with butter and garlic salt (or powder) and bake it for about 10 minutes. If you have extra cheese, consider adding it to the bread for cheesy bread. You could also add various herbs or spices, whatever your tastes prefer. Finally, serve it on a plate, perhaps topping with Parmesan Cheese, to a hungry and waiting family. Just heat up your sauce while you boil the pasta, and then pour it all into a baking dish. Cover the pan with foil, and bake at 350 for 30 minutes. Remove from the oven and add some shredded Mozzarella Cheese to the top. Place it back in the oven for about 5 minutes, just so the cheese can melt. Meanwhile, Slice a loaf of Italian Bread in half and top it with butter and garlic salt (or powder) and bake it for about 10 minutes. If you have extra cheese, consider adding it to the bread for cheesy bread. You could also add various herbs or spices, whatever your tastes prefer. Finally, serve it on a plate, perhaps topping with Parmesan Cheese, to a hungry and waiting family. I *hate* leftovers. I make my husband take them to work so I make sure to make something good for “leftovers”. Leftover stale bread is really good for making French toast. It works best with thick,crusty bread, and it’s best the next morning. I just reheat our leftovers, if any. I try really hard to make only enough for one meal. It’s just DH and I at home now and the leftovers can accumulate fast. 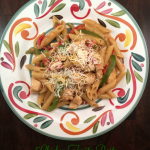 I see someone else does what my mom does – fry spaghetti to reheat it! Awesome! Yum! Is your “Sunday sauce” made from scratch? 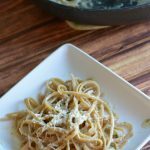 We rarely have leftovers, but I’d love to have a good sauce handy for quick meals! Many of our leftovers end up in omelets. My husband usually takes leftovers to work the next day. So I end up cooking most nights. 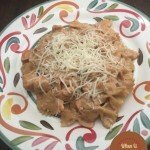 I make a lot of shredded chicken, and use it for enchiladas or pasta. Depending on what’s left over I will freeze for a meal later, make soups, pizza or stir fries. My favorite way to use leftovers is to wisk them in a food processer, then use the thick mixture to enrich a stew or soup; I use my crockpot almost constantly this time of year. I usually put leftovers either in a stir fry or a soup. I like to fry leftover pasta!! Fried spaghetti is better than the first meal! I usually done have left overs either .But when my mom has leftover potatoes she makes homemade potatoe pancakes. I fry my leftover spaghetti! Add some cheesy topping. It is crispy like on the outside. Really quite tasty. If the food is already good I love them second time around as is. I love to use leftovers in casseroles, salads or omelettes depending on what they are.